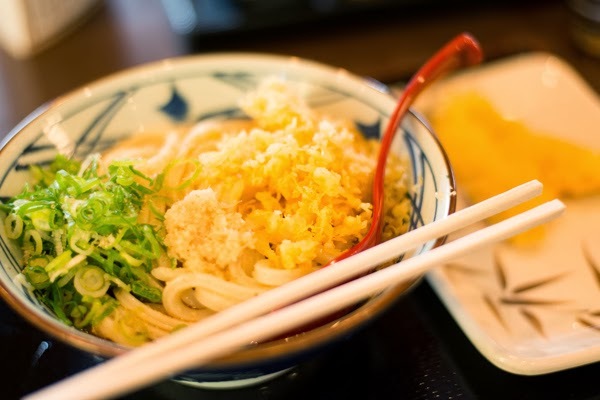 A blog from West Tokyo: Udon, a thick noodle in Japan. I'm fond of eating Udon, or noodle which is the sticky shape as you can see in the photo above. Made from wheat flour, therefore, the color is whitish. Like any other foods in this country, it also has wide varieties, thickness and length of noodle, and of course about sauces. Basically it is said that people in Western part of Japan (such as Osaka) eat it with a bit brown yet transparent sauce, and Eastern part like Tokyo, they usually take it with dark brown one. But why are colors different? This is because of the ingredients of sauces. The sauce of Western is cooked with kelps, while Eastern sauce is from dried fish. 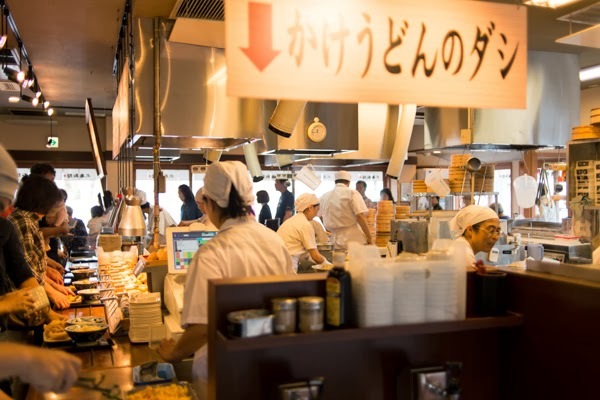 There are many Udon restaurants available here and there, cheaper and a little bit expensive as well. This picture is a restaurant that is growing rapidly among the country lately. They serve a portion of Udon from 280yen (about 3US$). I personally like eating here, not because of the price, but because of its atmosphere: seeing many chefs making, putting Udon on bowls. It's like an amusement park for me. And here, it's... let me see, a bit expensive one. However, typical Udon are not expensive like sushi. I ate this Udon some time ago, it cost about 1,000yen (About 10US$), it means you can taste high quality of Udon with low price. oooohh! 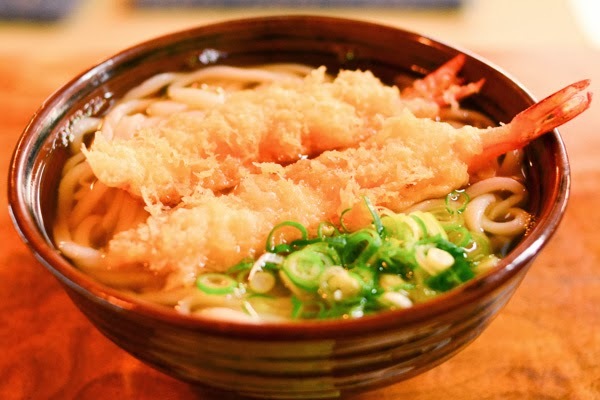 Udon looks really good! I had it in a restaurant once, but it wasn't the real deal. It wasn't made by a Japanese chef :( too bad. When I go to Japan, I will have to try these ones! And how nice it is that the price ranges from cheap to more expensive. So you ate it once and not that good. Udon isn't difficult to cook, and many people like it. I'm feeling at peace right now, silent morning, my dog and me.